Dredging, ditching, clean outs and almost every long reach application is especially dirty work. 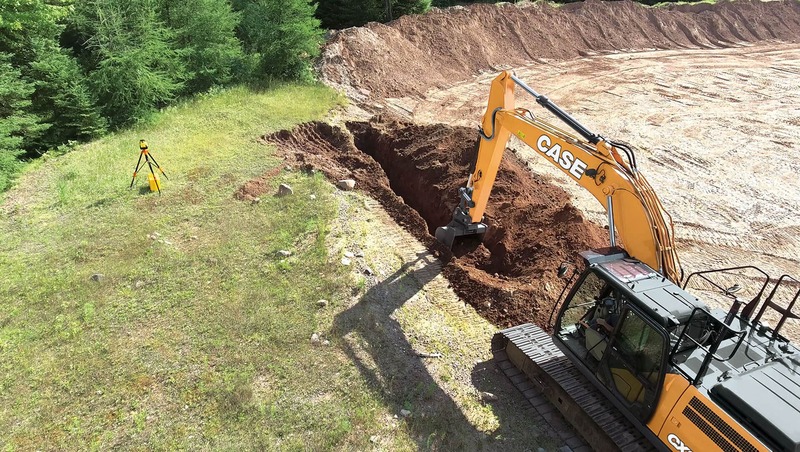 But the CX250D LR excavator is ready for it. 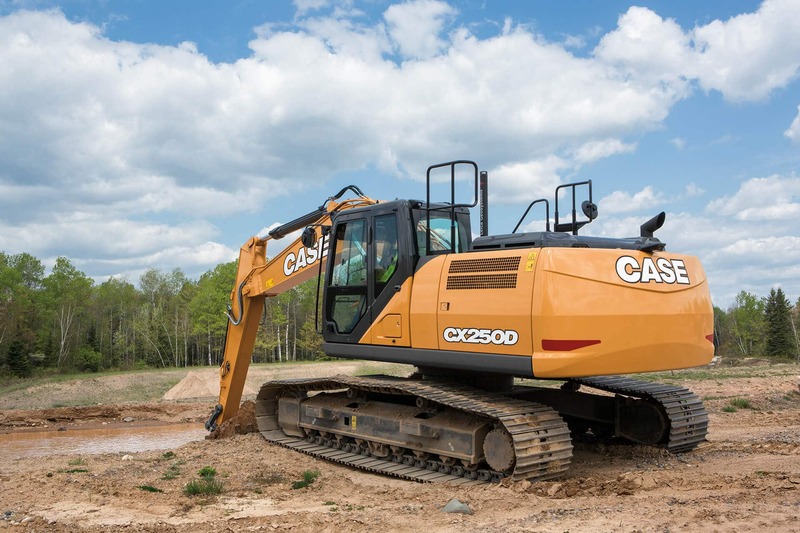 A best-in-class cab is roomier than ever, pressurized and sealed to keep out dust and noise, cushioned for a smoother ride, and full of creature comforts. Plus, with simple serviceability and a Tier 4 Final SCR solution that provides greater fuel efficiency, you can stay in that comfy cab even longer. 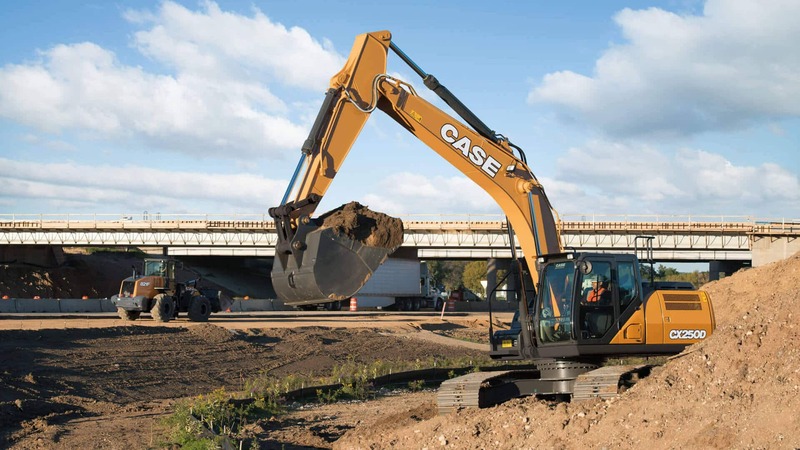 In addition to the already-impressive controllability of our CASE Intelligent Hydraulic System, D Series excavators have a new electronically controlled hydraulic pump, a larger control valve and a new solenoid valves. These upgrades help boost breakout force, increase lifting strength and improve responsiveness, which enables the machine to work faster throughout the work cycle. 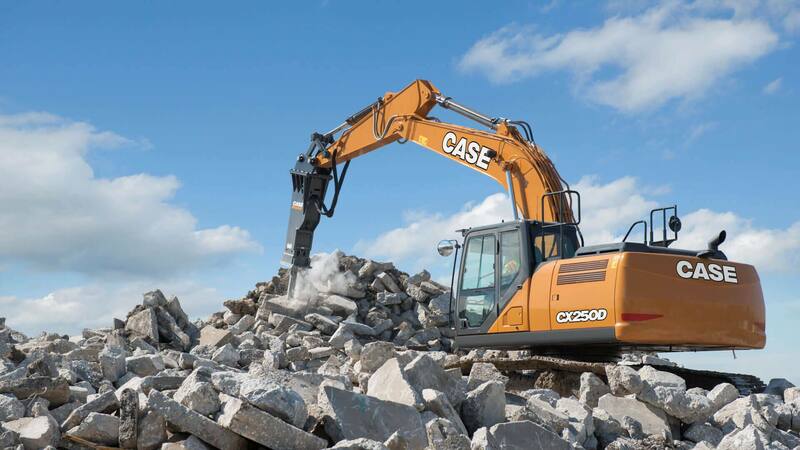 In fact, cycle times are up to 12% faster than our C Series excavators. The standard Free-Swing feature allows the carriage to spin freely while operating the boom and arm, which provides improved control when craning, pipe laying or lifting offset loads. 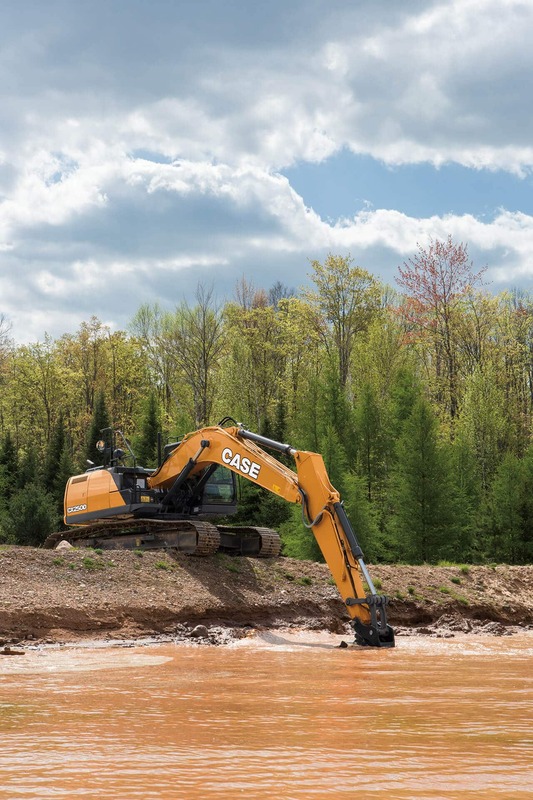 D Series excavators use an SCR Tier 4 Final solution that’s cleaner burning and provides up to 14% increased fuel efficiency without sacrificing power. As an after-treatment system, SCR lets the engine run at peak performance to provide full throttle response throughout the work cycle. And best yet, SCR is simple. No DPF regeneration. No new maintenance. No downtime. Just pour and go.